Alexander McCall Smith’s Sunshine on Scotland Street has come out in Vintage Canada paperback edition, and once again the Scottish author is fun to read. McCall Smith is a retired professor of medical law from the University of Edinburgh. He is also an endless watcher of the people around him, as well as those he makes up. They are a motley crew – often droll, mischievous but believable, and in the end appealing. As well as the 44 Scotland Street Series, McCall Smith has written The Isabel Dalhousie Novels, The Corduroy Mansions Series, The Portuguese Irregular Verbs Series, The No. l Ladies Detective Agency Series and several books for Young Readers. This one makes you feel you are living in Edinburgh, with its old stone houses, elegant Princes Street, view of the castle and beckoning pubs. 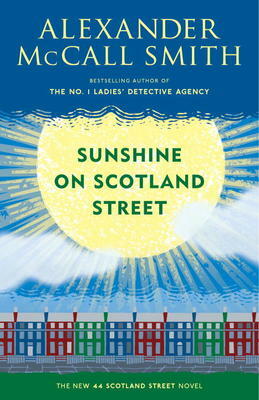 In spite of its reputation for rain, McCall Smith shows a very sunny side of the city he loves as well as the affection between the various families and inmates of 44 Scotland Street. It’s a very upbeat book.